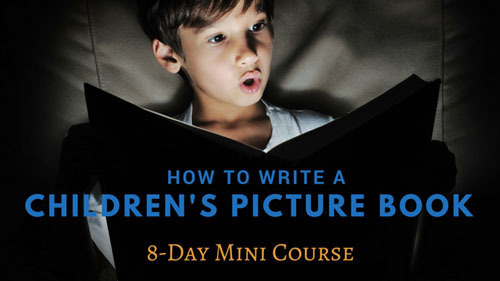 First write your picture book. Now, you need to check if the story is really a picture book text. Here’s where the hard work begins! Did you write a picture book? Once I have a story in hand that I think might make a picture book, the real work begins. Now, I must evaluate how well the story fits the structure of picture books and how illustratable the story is. Edit until there are 14-28 text segments. I usually begin by dividing my story into text segments, somewhere between 14-28;each segment represents what I think should go on a page or a double-spread page. Right away, you may discover that your story has too few or too many pages. Revise until you are at least close to the count needed. There is some flexibility in layout–the illustrator may include a wordless spread, or may decide to put two of your sections onto one page–but you must be close. Advance the story. Something needs to happen! Action, reaction. Provide an action for the illustrations. Overall, the story must move from setting to setting, so the illustrations can be varied. Of course, you can return to a setting, or the rhythm of the story may return to a setting several times. But each repetition must provide a new action or new details for the illustrator. The deadliest stories — and the least likely to be published — have talking heads. No action, just people talking. Inject some action into your story and choose the strongest verbs possible. Make the reader want to turn the page. The reader should want to know what happens next. There are other ways to play with the page turns, but we’ll get to that later. What if the story just doesn’t fit these requirements? Then, you probably wrote a magazine short story for kids. Look for magazines that are written for kids to find a home for your story. You can also look at each requirements for special genres of picture books, to see if your story fits one of them. Can you turn a magazine story into a picture book? Sometimes. It usually means more complications for the character to overcome, or additional complexity without becoming too complex. Think about complications or difficulties the character might face and think in terms of actions that can be illustrated. Keep rewriting until there are about 14 sections, as described above. Evaluate your story. Did you write a picture book or a magazine piece? If it’s not a picture book yet, brainstorm ideas to add to the story to make it more of a picture book. Did you write too long? You may be a novelist! If you feel cheated out of some of the scenes you wanted to include, consider whether the story might work as a easy reader or short chapter story.